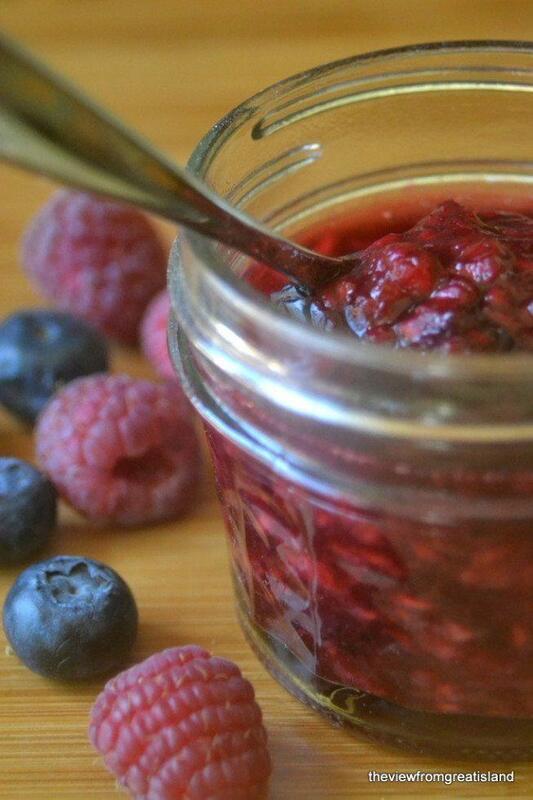 3-Minute No Sugar Microwave Jam ~ this amazingly fresh and vibrant jam is made in just minutes in the microwave, without any of the muss and fuss associated with traditional jam making ~ score! Put the berries in a large glass bowl. If you are using blackberries and they are large, cut them in half. Toss the berries with the cornstarch. Cover the bowl with a dinner plate, and microwave for 3 minutes. Give it a stir. If your jam is still very runny, pop it back into the microwave for 30 second intervals. Be careful, it will get quite hot. Spoon the jam into a clean jar and let cool Store in the refrigerator, the jam will firm up as it cools.